Well last week was super awesome. 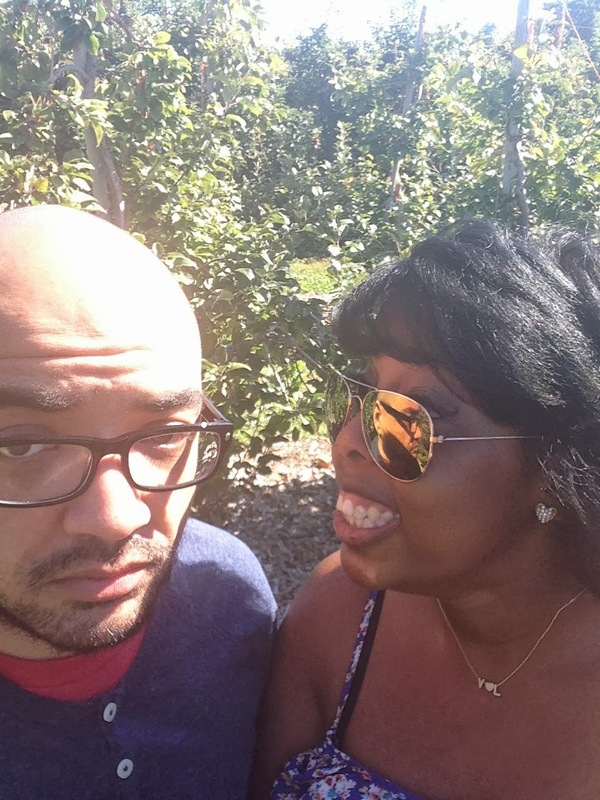 We went to an apple orchard. It was too much fun. I've never picked an apple from an apple tree before. It was an amazing experience and the kids loved it! I had so much fun I asked Mr. Roboto to take me this weekend. We only live about 15 minutes away so we got up early Saturday morning and heading out. Little did we know there would be a huge crowd of people...HUGE. We didn't stay long but it was still a great experience.. and we had apple cider donuts! He was so happy to leave. But take a look at all the yummy apples we picked. 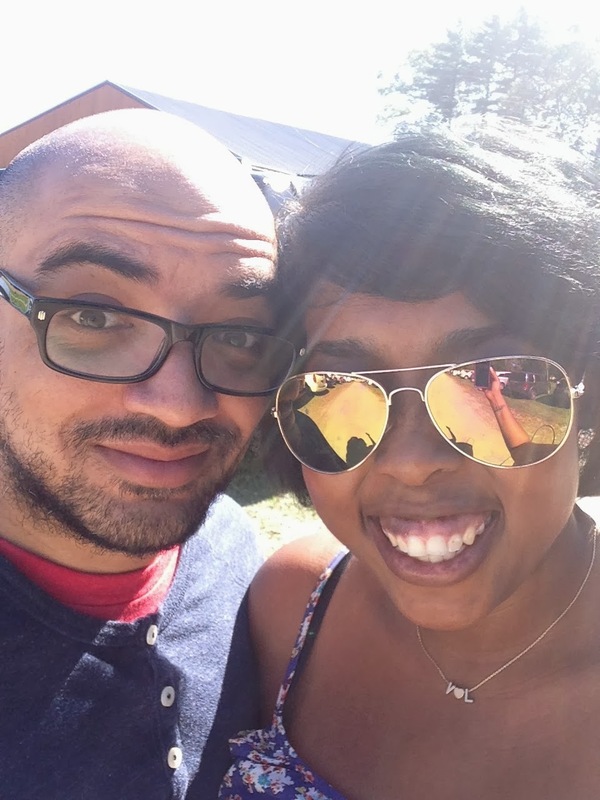 Jameson over at Lessons with Coffee, hosts a monthly linky all about caring for and supporting your fellow educators. She has a great idea for themed boxes called Slant boxes. 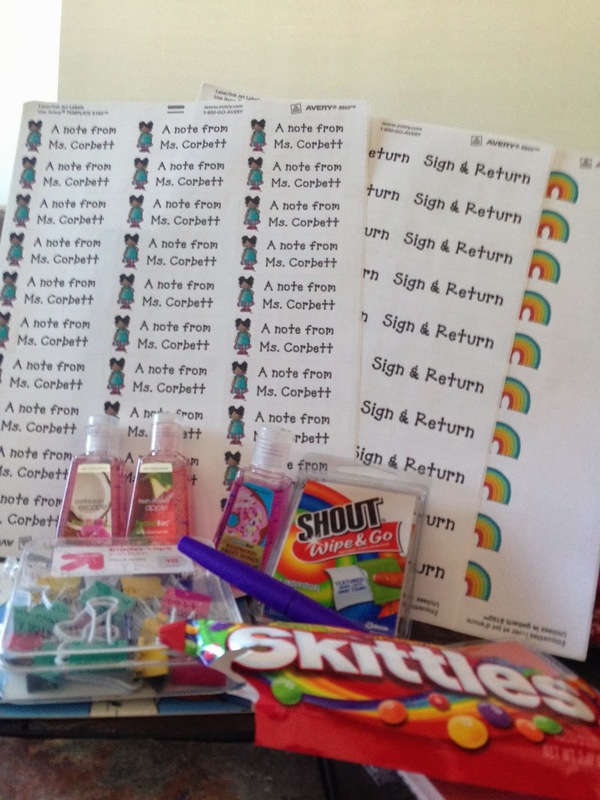 Each month, you sign up to send a box to a teacher and you get to receive a box from another teacher. It's a great opportunity to get to know other teachers from all over. I was linked up with the amazing Becky from Teaching, Learning and Loving. She sent me some amazing goodies all around the theme "OMG, I can't believe I forgot..."
Here's a pic of my goodies! Those papers in the background are personalized labels that Becky made for me!! How sweet! 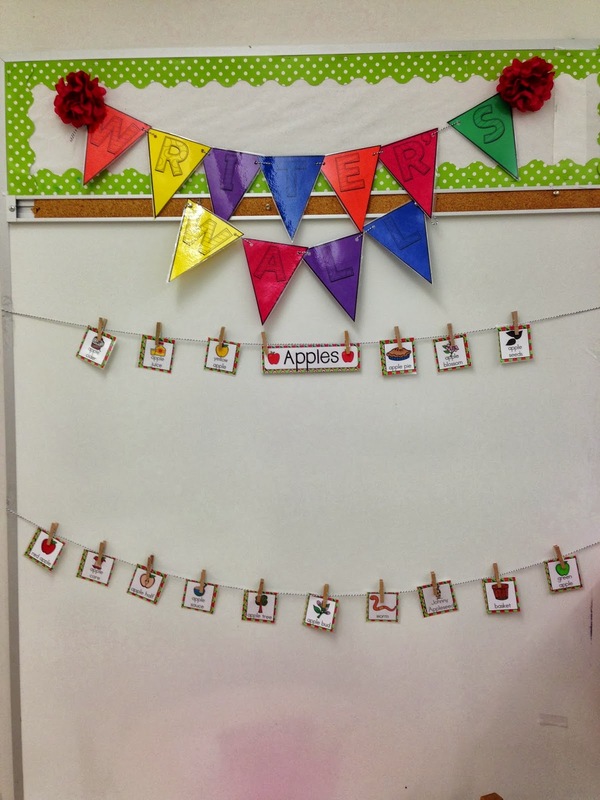 She even customized a page for my rainbow themed classroom! And yes, that is an empty bag of Skittles. That was my breakfast. Don't judge. OMG! can you believe October is just days away!? I can't believe we've been in school for a full month. I think it might be because I have some of the most adorable kids in the world. 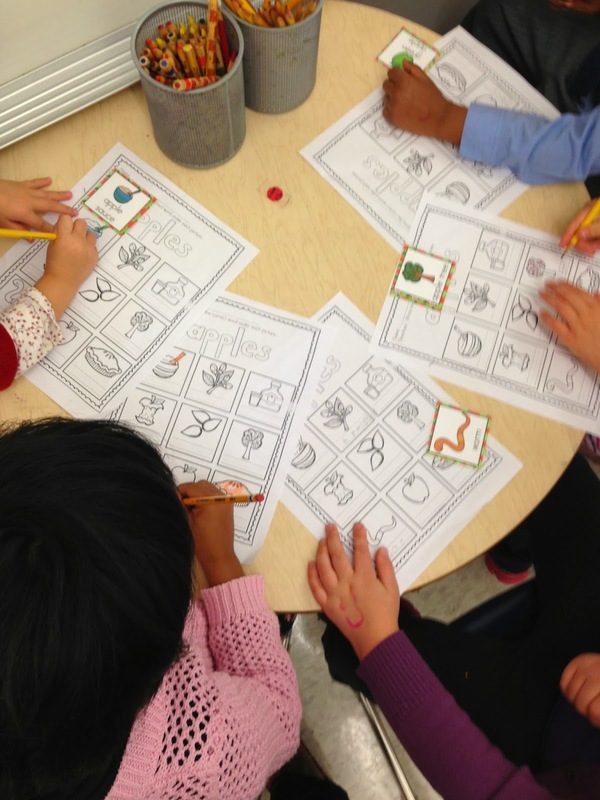 Next week, we are learning all about rainbows and colors. We get it to make a rainbow hat and listen to Pete the Cat over and over and over again. 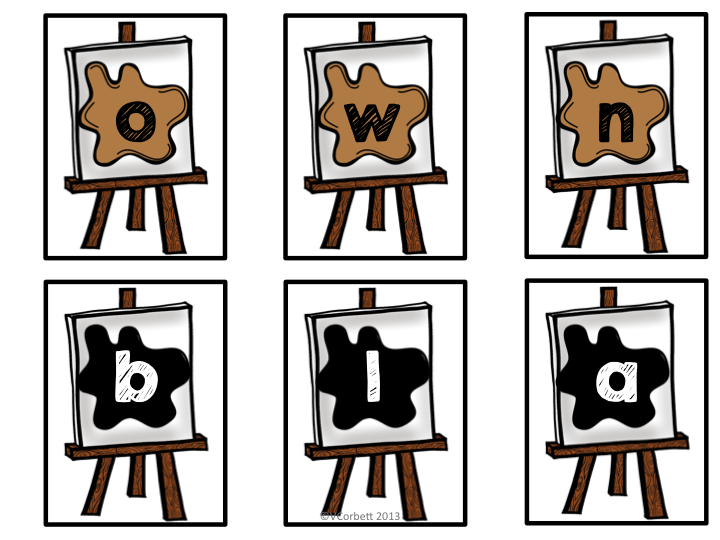 I spent most of today working on a few new items that I'd like to add to my classroom this week. I set up the vocabulary wall in our writing center to match the theme or unit we are learning about. 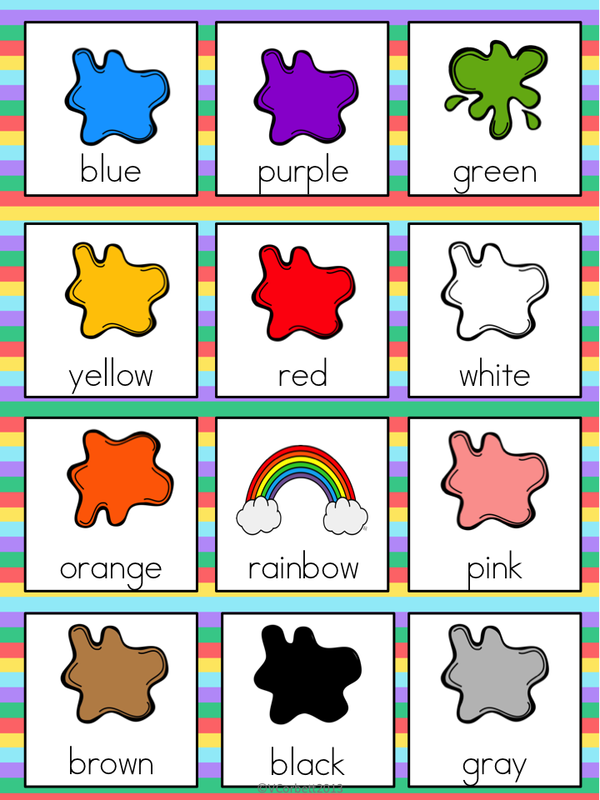 Here are a few pictures of the color vocabulary cards. We used these during our apple unit and the kids did a great job of reference the cards during their time at the writing center. Here's a pic of my vocabulary wall. 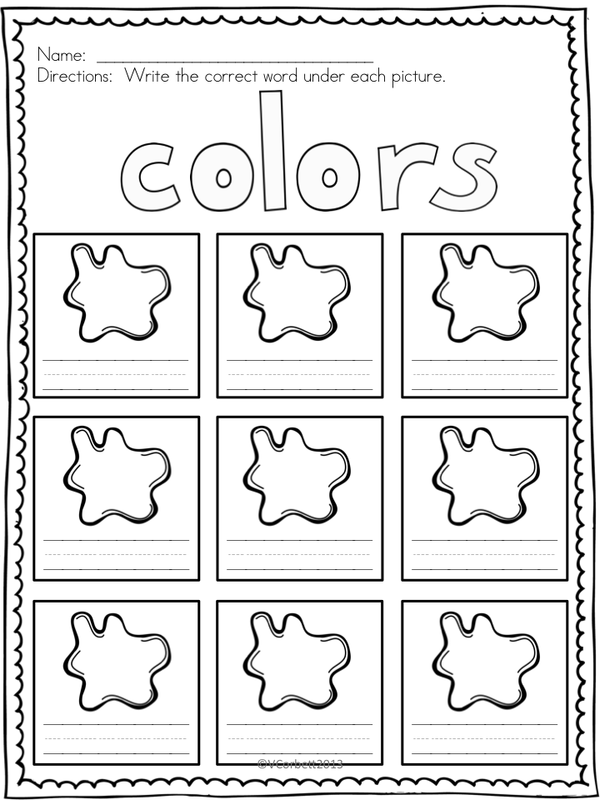 I thought it might be a good idea to have something color related at my ABC center, so I made a quick and easy color word practice packet. 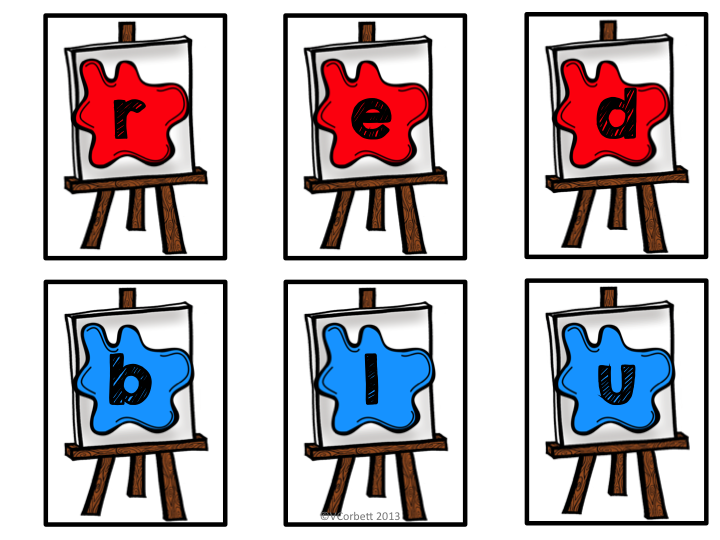 The kids have to spell out various color words. Then, students use the included recording page to document show their learning. The recording sheet asks for them to spell the word, color pictures, and draw a picture of something in that matching color. Here are a few pics. 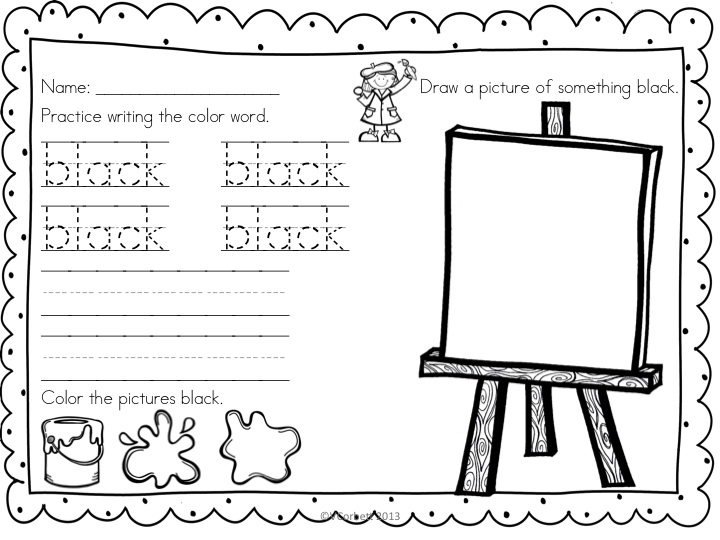 You can find my Color Word Practice sheets here.